What accommodations are in the area? For many of our guests, overnight lodging is not only necessary, but an integral part of the Glimmerglass experience. 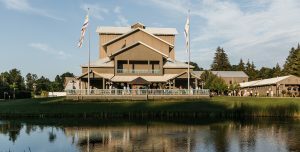 Search the wide selection of accommodations available during the Festival. You can wear whatever you like at Glimmerglass. Days can be warm; evenings can be cool. Please keep in mind that there is no heat or air conditioning in the theater, and dress for the weather. Casual wear is fine for all operas. 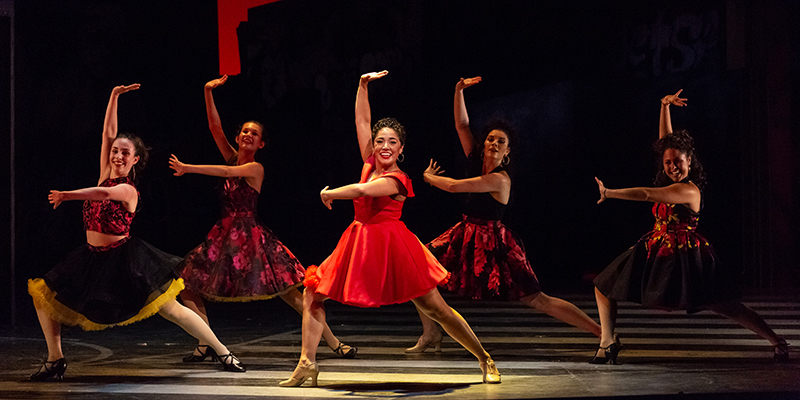 At The Glimmerglass Festival, attire may range from khakis, jeans and sandals to a suit and tie. Please refrain from wearing fragrances, as they may stimulate respiratory sensitivities with our singers and other patrons. We thank you in advance for your cooperation. Do you have an outdoor theater? The Alice Busch Opera Theater features unique sliding walls that open prior to performances and during intermissions. Our audience members are not directly exposed to the elements; however, aside from ceiling fans, our theater is not climate controlled. We recommend our audience members dress for comfort. Parking at The Glimmerglass Festival is free. Audience members park across the street from the Alice Busch Opera Theater. Accommodations for handicapped drivers are available next to the theater. Our friendly parkers will help direct you. 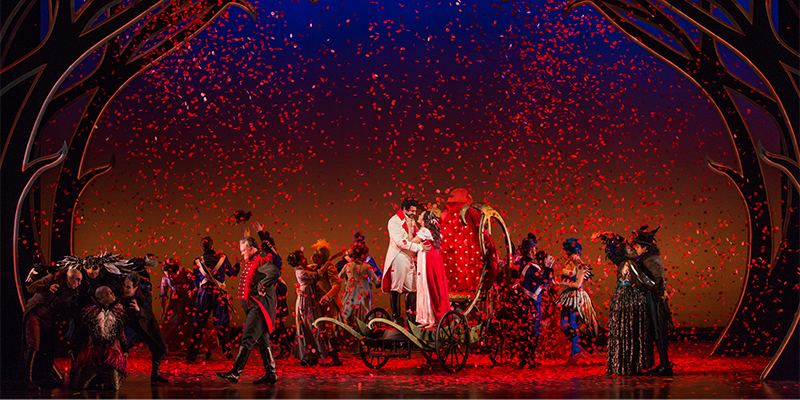 All mainstage operas and musicals are less than three hours, which includes one intermission. Run time estimates are included on individual show webpages. Yes, English text is projected above the stage for every opera performance, even when the opera is sung in English. Please allow 45 minutes to park, pick up tickets and be seated. How can I learn more about the opera I am about to see? The Glimmerglass Festival offers previews one hour prior to each show. Join a member of our expert music staff in the Preview Tent, between the Marketplace and Pavilion, for an insightful half-hour presentation. These sessions are free and open to all tickets holders. Refreshments are available two hours before curtain and during intermission. Our Marketplace, located next to the theater, offers fine wines, specialty wraps, sandwiches, salads and desserts. Where can I purchase Glimmerglass paraphernalia? The Glimmerglass Festival Gift Shop opens two hours prior to curtain, and is located in our Marketplace, next to the theater. The Gift Shop features new mugs, T-shirts, books, recordings, note cards and more. 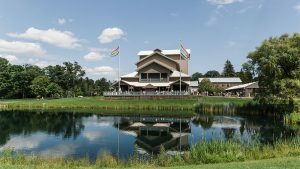 How does Glimmerglass accommodate patrons with special needs? Glimmerglass staff members work to make sure all our patrons are satisfied. The first level of the theater is ADA compliant. Please let the Box Office know your needs in advance. Assisted listening devices are complimentary and may be picked up at the Audience Services Desk one hour prior to the performance. Please be aware that there is no elevator to our second level. There are no refunds or cancellations. This applies to all ticket purchases, as well as events and picnics. What if I can't attend the performance? Please consider donating your tickets to the company for resale. If we are able to resell them, you will receive a letter acknowledging your donation at the end of the summer. Can I still get in if I'm late? Latecomers, and those who exit during the performance, are seated at the discretion of the House Manager. What other rules must be followed in the theater? There is no smoking, outside drink/food, photography, recording devices, or cell phones in the theater. I would like to bring my child to the opera; can I? Everyone must have a ticket to enter the theater and you must sit in the location specified on the front of your ticket, unless otherwise directed by a staff member. We welcome children and recommend age 6 as a minimum for opera attendance. No babies-in-arms or children sitting in laps. 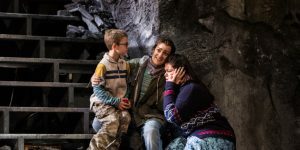 The Glimmerglass Festival offers youth tickets for $10-25 for ages 12 and younger, when they are accompanied by an adult. I am a doctor on call; how can you help me? If you are a doctor on call you may leave either your cell phone or pager at the Audience Services Desk along with your name and seat number and we will come and get you if you are needed. If you do not have a cell phone or pager, you may give out our kiosk phone number and we will get you in case of an emergency. The kiosk phone number is (607) 547-0700 ext. 251. The company permits smoking in select areas, which are at least 100 feet from all rooflines. This policy covers both traditional, electronic and alternative smoking devices.